A bad tempered footballer who kicked an opponent in the head during a match before punching the referee who was about to send him off has been jailed for 15 months for assault. Niall Lavery (32) wiped away tears and his wife wept in the public gallery as Judge Patrick Lynch QC ordered the “obviously talented” player to spend a further 25 months on licence following his release. He told Lavery that while he accepted his “profound regret” over the incident, behaviour such as his “had no place” on a sporting field. 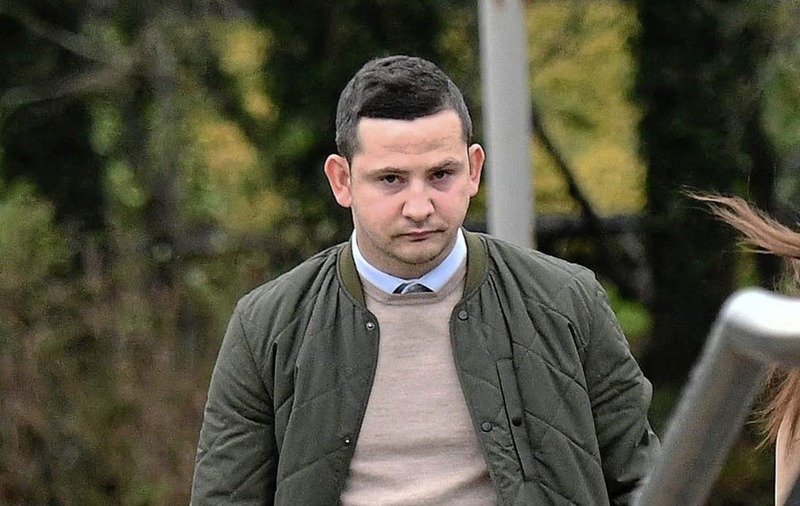 Lavery, from Bowens Mews in Lurgan, changed his plea at Craigavon Crown Court yesterday and confessed to unlawfully and maliciously causing grievous bodily harm to Gary Hill with intent to cause him grievous bodily harm and the assault of Joshua Porter, the match referee. Prosecuting counsel Ian Tannahill told the court the offences arose during what was described as a “feisty” cup match between Lavery’s team Silverwood and Mourneview Mill, who won two-nil. In the closing minutes Mr Hill passed the ball and Lavery, known as ‘buckshot’ by fellow players, swiped his feet out from under him. According to the referee’s statement, he was reaching into his back pocket for a red card to send Lavery off when he kicked Mr Hill in the face. After the match, Mr Hill was taken to hospital where he received eight stitches to lacerations above and below his right eye while an x-ray revealed a fracture to his “zygomatic arch,” an injury which while successfully healed, has left him with a “slight depression” on his face. The court was told Lavery previously assaulted an opponent. In 2009, Lavery was playing for Lurgan Celtic against the PSNI at their New Forge pitch when after the final whistle, he punched a PSNI player in the face causing his nose to bleed and two black eyes. Lavery was given a police caution after he accepted causing actual bodily harm. The judge revealed that Lavery was banned from playing football for a year, a punishment which gave him “a sense of surprise at the leniency” but he warned Lavery that he was considering imposing a Violent Offences Prevention Order “to ensure that you will not be on a football field” after his release. Jailing Lavery, the judge adjourned that aspect of the case for further submissions.